What a lesson in leadership! 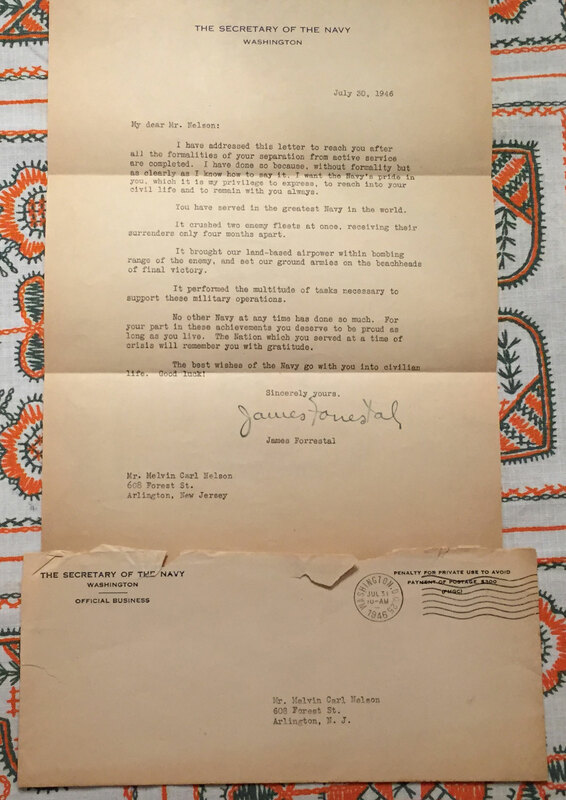 James Forrestal was concerned with helping his sailors transition back into civilian life. 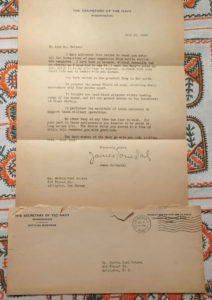 He strategically timed the letter to arrive after the veteran was back home and engaged in the difficulties of reintegrating into civilian life. He wanted the justifiable pride that each of his men women could feel about their service to their country to help ease their path and to continue with them all of their days. Forrestal brilliantly planned for the letter to arrive at the veteran’s home at a time when he would need it most. 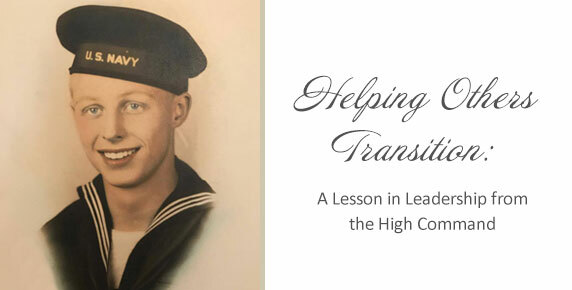 When you encourage those you love or lead who are facing unwanted transition, anticipate the difficult times when they might especially need to hear from you. In the weeks or months after a funeral, when the casseroles are finally gone from the freezer and the attention of friends has turned back to their own lives, make that phone call and remind your bereaved friend that someone is still praying for them. Remember, too, that anniversaries or birthdays of lost loved ones are difficult. Send a card, or a least a prayer of gratitude on that particular day. Do you have a teacher friend who has lost her job? Give her a call and invite her to get together for something fun in September when she would have gone back to work. Go on a hike or to the beach with some fellow empty-nesters to remind yourselves that you were a couple who had friends and knew how to have fun long before you had children who now no longer need your fulltime attention. If God doesn’t forget the work of those who help others, we shouldn’t either. Research in educational best practices has shown that for praise to be effective, it must be specific. Simply saying “good job” is simply not as helpful as detailing the reasons the effort was successful. In his letter to his troops, Forrestal gave a stirring account of what his fighting force had accomplished. For those who had served and returned home to face an uncertain future, a reminder of the victories won and the strength they’d developed as a result would have been heartening. Forrestal recognized the unique and indispensable contribution of each of the men and women who had served under him. Although my father never reached the battlefield, his willing service as he trained to do so was counted as just as valuable in the overall war effort. As you look around at those who serve in your community, at your workplace, in your church, even in your home, whose contribution, however unobtrusive, can you commend today? This Memorial Day weekend, as we remember those who died in service to our country, let’s also take time to express words of gratitude to those still living who made the sacrifices that enable us to enjoy our freedom today. We have had the pleasure of having Dr. Bones lead worship and also speak at our women’s events. I wholeheartedly recommend Dr. Bones as a speaker or as a musician.